I created Sonic Cradle as an academic exploration of how technology might cultivate introductory experiences of mindfulness. The project won academic awards, received media attention, and inspired many other related projects. Can persuasive technology facilitate experiences of mindfulness? This question led me to design, build, and study a new experimental interaction paradigm which I called Sonic Cradle. 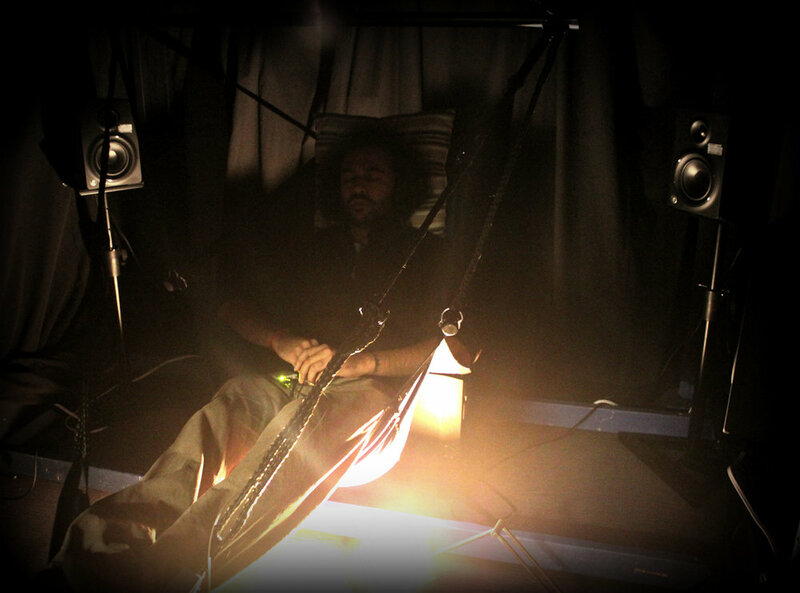 In Sonic Cradle, your body is suspended in complete darkness while you compose music using only your breathing. After building the initial prototype, I conducted participatory co-design sessions to iterate and tweak the concept. The final prototype was meticulously designed to induce an attentional loop which parallels mindfulness meditation. The goal was to experientially introduce a state of mindfulness to non-practitioners. Testing revealed a need for more diverse soundscapes, so I built a website to crowdsource sound and shared it in online musical communities - the final installation ended up using a wide range of audio experiences provided by artists from around the world. I moderated semi-structured interviews and conducted a rigorous qualitative analysis to confirm that Sonic Cradle produced subjective experiences comparable to mindfulness meditation. I also measured pre/post data on respiratory parameters which correlate to autonomic nervous system states. I observed significant reductions in resting respiration rate suggesting a parasympathetic shift consistent with meditation. I published this work in leading academic venues in human-computer interaction in 2012-2013, making it one of the first major projects at this intersection of technology and mindfulness. Since then, much more work has been conducted in the space, with more than 150 explicit citations of this project in the literature. If you're especially interested, you can watch a 20 minute talk outlining the project, read an award-winning design rationale, read validation studies (1) (2), or simply listen to relaxing recordings of the system in-use.